ParkVia offers alternative and secure Barcelona port parking options that are located close to the port and easily reachable by the free shuttle transfer service provided by each car park. The car parks are all undercover, making your Barcelona port parking easier. Booking only takes a few minutes and you will be guaranteeing your parking space before you travel. If you would like to drop-off/pick-up your vehicle straight at the port itself, then this is also possible - simply choose the Meet and Greet service offered by the car park. Prices are competitively set and the car parks are located close to the port terminals. To reserve your parking, it is important to do this a certain amount of time before your arrival date as there is a minimum notification period for a number of the port car parks and during the peak cruise season they are extremely popular. The Port of Barcelona dates back 2000 years and is of great commercial importance. 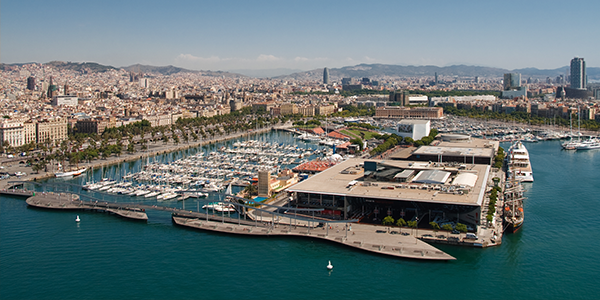 The huge tourist industry in the region has transformed Barcelona into the Mediterranean's main cruise port. The Port of Barcelona has 9 terminals, 7 of which are designated for cruise ships and these are divided into three main terminals.